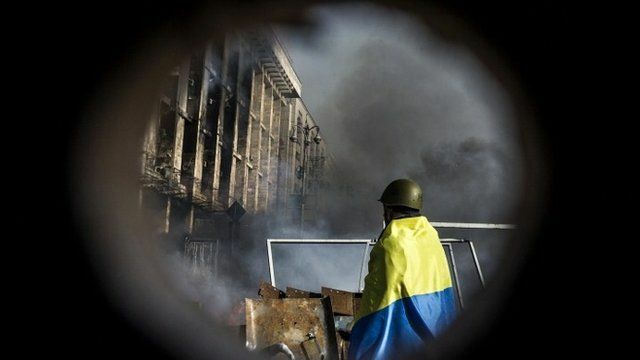 Ukraine crisis explained - in 60 secs Jump to media player Ukraine's violent political deadlock explained - in 60 seconds. Aftermath of clashes in Ukraine Jump to media player Protesters are still demonstrating on a road leading to the Ukrainian parliament, following a protest on Sunday which led to two nights of clashes with police. 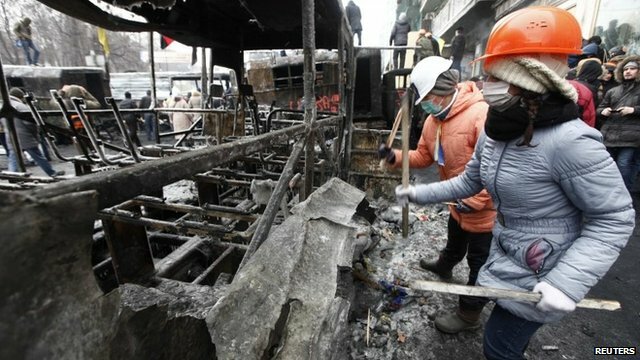 Clashes in Kiev after protest ban Jump to media player There have been clashes between Ukrainian riot police and demonstrators at a rally in the capital Kiev. Riot police deployed Jump to media player Efforts are under way to defuse tensions in the Ukrainian capital Kiev, where riot police have been deployed on Independence Square. The BBC's Laurence Peter explains the background to the crisis - in 90 seconds. 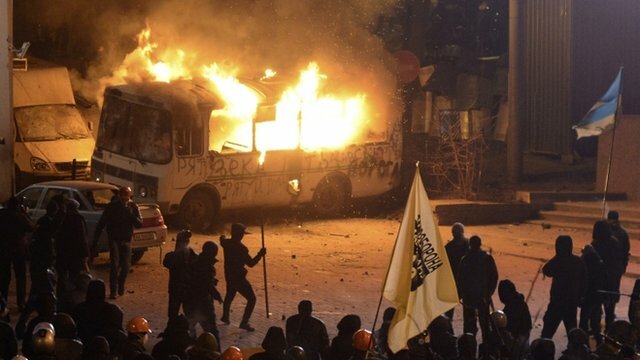 Dozens of people have been killed in clashes between police and demonstrators in Ukraine's capital, Kiev. Amid an ongoing political stalemate, violence has spread to other towns and cities. Here is the background to the crisis - in 60 seconds.